HondaPartsHub's goal is for you to experience above and beyond customer service. We will ship your order the same day in most cases, if all parts ordered are in stock (call for availability), to anywhere in the United States. Our Online Honda parts catalog is designed better than ever to help you easily find the correct O.E.M Honda parts that will fit your car. David McDavid Honda of Irving,our parent store, has been serving the DFW Metroplex since 1969 and has one of the largest parts inventories in the nation! Let us show you the Hondapartshub difference! Genuine American Honda parts are engineered and built to meet or exceed the Original Equipment Manufacturers (OEM) specifications. Genuine American Honda parts go through rigorous validation and testing to ensure optimal performance and durability. 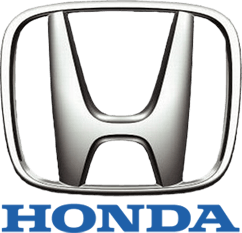 All Genuine America Honda Parts are followed with its standard 12 month 12 thousand mile manufacture defect warranty. These OEM product pages are for reference only and do not list availability. Please contact us with any questions or for availability. We guarantee the fitment of all parts ordered if and only when the vehicle's VIN is included in the order notes at checkout. When determining which side of the vehicle a part will be for, (R) is the passenger side and (L) is the driver's side when applicable. The diagrams provided in this catalog are for reference only, and may differ from the actual product in size, shape, orientation, and color.